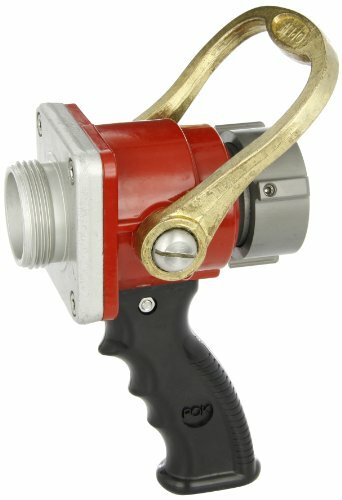 Ball shut off nozzle with bolted style. Lightweight cast aluminum body with pistol grip. Hardcoated female swivel inlet and male outlet. Maximum operating pressure to 200 psi (water only) at ambient temperature (70 degree F). 1-3/8" Waterway. Size: 1-1/2" NST (NH) female x 1-1/2" NST (NH) male.